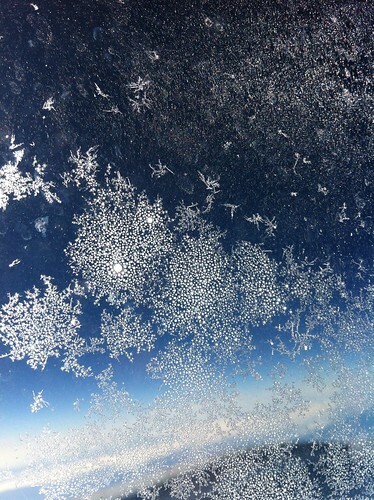 Looking out of the window of a plane this morning the sun caught these crystals of ice on the glass. Aren’t they beautiful? What a sparkling start to a day!